and with presence in 13 countries on 5 continents. It has Oracle eBusiness Suite R12 as a system for the operations management. 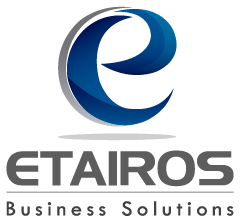 Etairos has supported for more than 3 years the development of diverse projects in Latin-American (Colombia, Mexico, Chile, Peru, Costa Rica and Brazil), from re-implementations, rollouts, upgrades, integration with third-party solutions, implementation of tax and legal requirements, implementation of new functionalities, among others. Coéxito is a leading Colombian company in the sector of car parts and energy backup system. Its car maintenance centers (centers specialized in vehicle diagnostics and maintenance, fast automotive mechanics service, sale of batteries, tires and lubricants Coéxito) have a CRM solution implemented, managed and supported by Etairos in the SaaS modality that is integrated with their own billing system and also offers access to its customers for consulting the history of services and purchases. Carvajal packaging is a multilatin company with more than 35 years of experience, specialized in the design, production and distribution of customized and innovative packaging solutions, for the needs of the foodservice, industrial and agroindustrial markets. Belonging to the Carvajal group of Colombia, it has Oracle eBusiness Suite as its technological enabler. For more than 4 years, Etairos has worked very closely with Carvajal Empaques in the optimization of its Costs processes as well as the implementation and optimization of asset and quality maintenance processes in Colombia, Peru and Mexico. Coomeva Servicios Administrativos S.A (CSA) is a Shared Services Center (SSC) that provides business group companies with administrative services, logistics and media, efficiently and effectively, using Oracle eBusiness Suite R12 as its technological enabler. Etairos did the implementation, in partnership with Carvajal Tecnología y Servicios, for Coomeva Medicina Prepagada, Etairos carried out the implementation, in partnership with Carvajal Tecnología y Servicios, for Coomeva Medicina Prepagada of the entire financial process of the UPREC (Clinical Prevention Units) and the UPP (Promotion and Prevention Units). 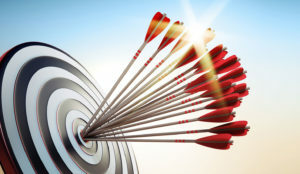 Likewise, supporting the optimization philosophy of the services provided by an SSC, Etairos made the optimization of the filing process without purchase orders for the CSA.  In partnership with Tata, Etairos carried out the implementation in Oracle eBusiness Suite R12 of the purchase request process (iProocurement) in RIMAC. RIMAC Seguros is the leading company in the Peruvian insurance market. The project was executed remotely most of the time with some trips programmed for the critical phases of it. During these years we have successfully carried out consultancies and implementations with other clients such as Asylum Marketing, with whom we had a special CRM solution for its operation in SaaS mode for more than a year. Digitex, with whom we worked on an automation project of the supplier billing process with Coomeva Servicios Administrativos with Oracle eBusiness Suite R12 and Bonita Software. Carvajal Technology and Services, with whom Etairos has worked very closely on different occasions supporting the pre-sales work of projects with Oracle eBusiness Suite as well as in the implementation processes of our own clients such as the Muelles el Bosque Maritime Terminal in Cartagena – Colombia. We have also worked, among others, with Ernst & Young, MAS Global Consulting, Orbis Group and Sofka Technologies. We’re ready to improve efficiency and control of your company.